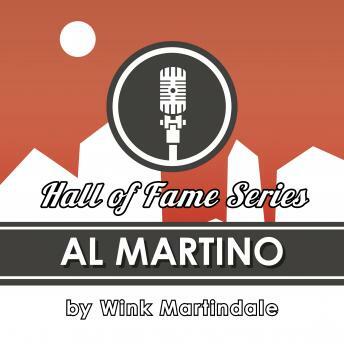 Listen to "Al Martino" on your iOS and Android device. Al Martino's success began in 1952 with the single "Here in My Heart." The self-taught crooner went on to find his biggest success in an unlikely source in 1963 with a version of "I Love You Because," which was originally a country tune. In August of 1972, he sat down for an interview with host Wink Martindale to reflect on his storied career. Martino discusses his early life growing up, some of his musical influences and the highs and lows of his musical journey.